You say you want to stage your own home? But you need to keep expenses down? Welcome to the club! Prioritizing and creativity are your friends. Kitchens and baths are your priorities. These rooms are important to buyers and so that's where your attention should go first. Elbow grease is free. Bathroom fixtures should sparkle. Kitchen appliances should gleam. Bleach is cheap and gets rid of mildew. WD-40 is cheap and makes things shine. Fine grade steel wool is cheap and removes lime buildup. Lemon oil is cheap and makes wood cabinets come to life. 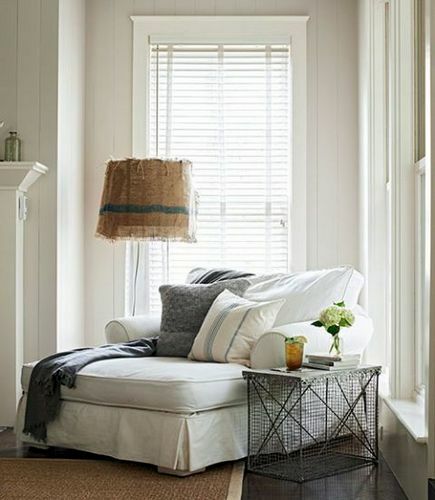 Think bright and white to convince buyers rooms are big and clean. Make sure your light fixtures in all rooms sport the maximum wattage allowable. Mirrors bounce light around and open up walls, so find a place for a mirror in your kitchen. 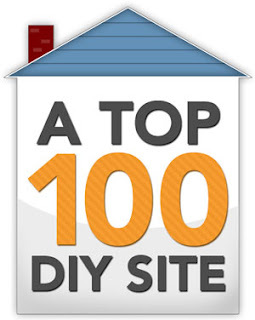 If you need to paint cabinets or vanities, roll up your sleeves, and save some money. 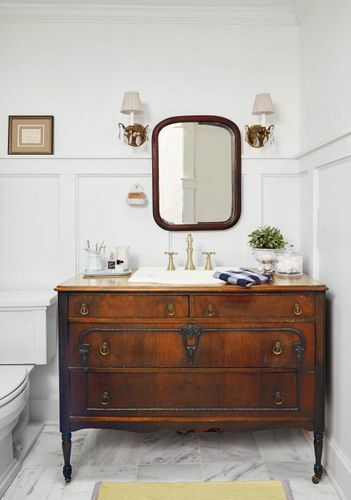 Getting creative means you will recycle and find new uses for old things, like upcycling a dresser into a bathroom vanity. Paint's inexpensive, so a fresh coat of a pale color on kitchen and bath walls is a great investment. Does the flooring look tired? Peel and stick vinyl tiles are a great budget DIY fix. Your second priority will be how your home looks from the street and in that all-important exterior photo that goes on your MLS listing. Get rid of everything distracting or messy outside your home, especially the entranceway. If you can't pressure wash, at least take a hose to dirt and a broom to cobwebs. Back inside, evaluate your rooms. Are there too many small objects that make rooms look cluttered? Is there so much furniture that rooms look small? Do some rooms need some fragrance help? Do the drapes block natural light? 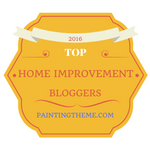 Have you decorated with dark colors that now need to be painted or slipcovered over? You can learn to be creative by imitating the looks you see in upscale hotels and model homes, and by picking the brains of creative friends. Try looking at your rooms as a buyer would. Buyers want space and buyers like newness, so work to create those illusions. Rethink the purpose of each room, and make the room's best use obvious to a buyer. Choose the largest and most attractive pieces of furniture you have for staging, like the oversized chair in the photo. Store the little things you want for your next home. Shop your own home by moving furniture from room to room until you've achieved a happy mix. Don't be afraid to paint outdated things, including bookcases, chairs, end tables and even lamps and picture frames. White painted furniture looks clean. Black painted furniture looks sophisticated. White walls are always classic. Miniblinds do not go out of style, even inexpensive ones. When you prioritize, clean, and use your imagination, you can stage on a shoestring. I hope these budget-friendly tips help you stage your home for sale like an expert. 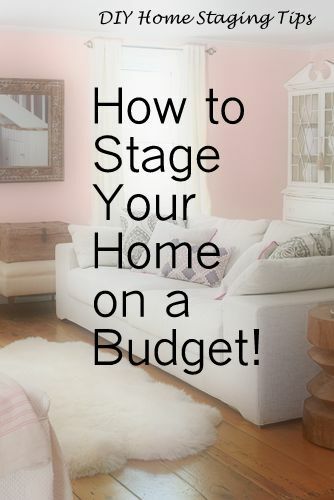 I give more budget-busting tactics in my $4.99 eBook, DIY Home Staging Tips to Sell Your Home Fast For Top Dollar.